You would think being the #1 shoe in golf would be cause for celebration, but the folks at FootJoy are at it again, with another all-new shoe design for 2014. Following on the back of their new DNA and City shoes, the AWD is there latest Casual spikeless model. 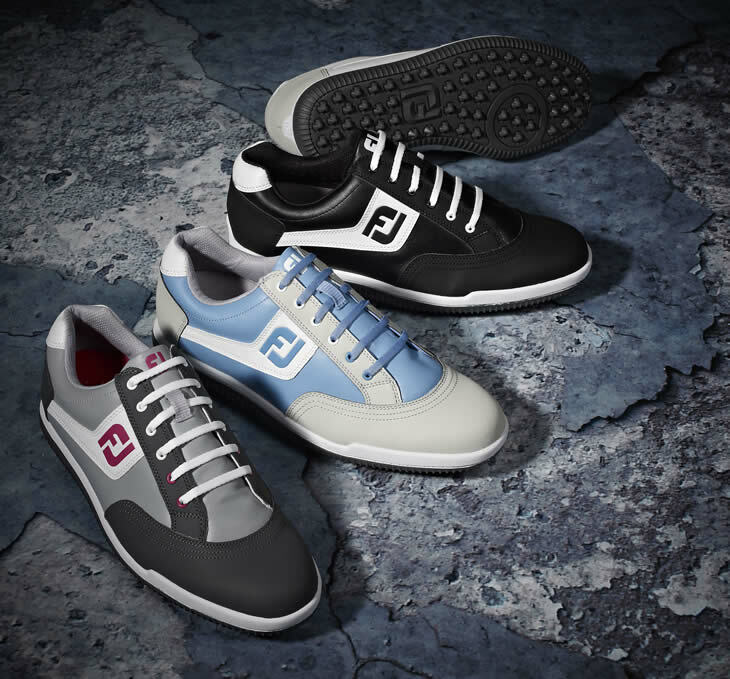 FootJoy say the AWD Casual provides the "ultimate in on and off-course versatility". Designed for the golfer seeking a street-fashion twist, the AWD is available in four colours, each carefully picked to match FJ’s 2014 Performance apparel. It has been in development for two years as the R&D team at FootJoy tweaked with the design and looks. Originally the AWD name stood for All Wheel Drive, although it is not something you will see in any advertising or information. They will be known simply as AWD. The shoe itself is similar in shape and construction to the popular Contour Casual model and features a soft, breathable upper design made from full grain leather. Inside the shoe is one of FootJoy's hidden secrets. A carefully designed PU film membrane is used inside to make the AWD shoes waterproof yet breathable for use in a range of conditions. Flip the shoe over and you see FootJoy's latest spikeless sole design. Made from a DuraMax rubber, the durable outsole features more than 60 specifically designed dimples to aid traction on the course and versatility off it. Russell Lawes, FootJoy's Marketing Manager spoke of the company's excitement over the new AWD design. This is an exciting addition to our spikeless range, which continues to resonate extremely well with our loyal FJ fan base, who continually choose our golf shoes for the combination of pioneering designs and outstanding comfort, fit & performance. Our 2014 range is our most complete offering to date and testament to our unerring ability to incorporate inventive options and meet the varying tastes of golfers. The design team have certainly struck the right chord with this striking design, delivering a new option for the golfer seeking the key performance technologies synonymous with FootJoy footwear alongside the convenience of spikeless shoes.